Each week Bristol Business News gives a prominent member of the city’s business community the last word on its weekly e-bulletin. 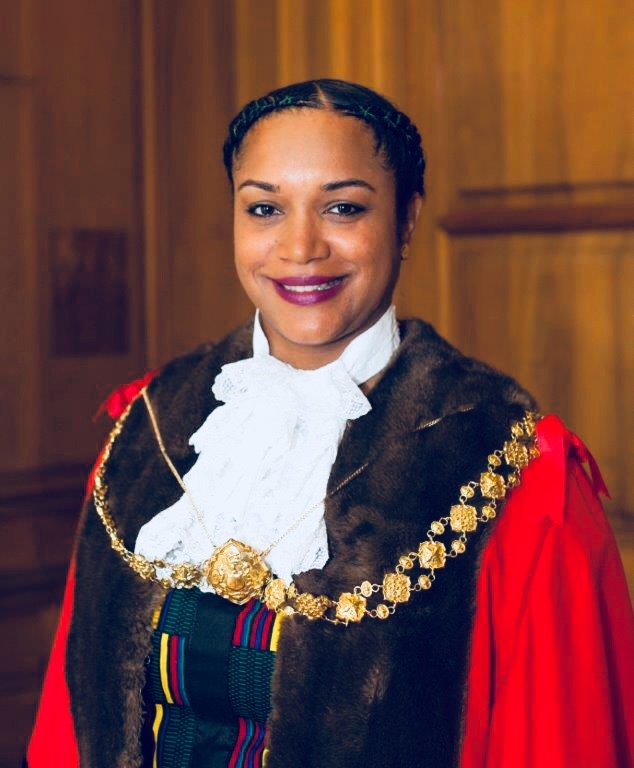 This week ahead of the Lord Mayor of Bristol Appeal’s 2019 gala dinner on March 7, the Lord Mayor Cleo Lake answers our 10 questions. Film you watched? At the cinema I think it was Nativity Rocks with my son which was unexpectedly very topical and moving relating to the refugee crisis. We also watched Stand By Me, which is one of my favourites. I really rated Moonlight and Get Out and can’t wait to see the two new follow ups. I try to attend Come The Revolution screenings when I can and I also check the BFI website which includes free viewing films and has some archive gems. Book you read? I bought at book at the African Collective pop up shop in December which was Singin’ and Swingin’ and Gettin’ Merry Like Christmas by Maya Angelou. It’s one of six books that make up her autobiography. It’s very entertaining and easy reading although I haven’t quite finished it yet! Music you bought/downloaded? I have been listening to Sons of Kemet, new music by Neneh Cherry and was recently introduced to female jazz outfit Nerija whom, wearing my other hat, we hope to bring to Bristol later this year. Concert or play you went to? In my other life I’m actually an actress and events producer so I do get to a number of performances but recent ones that really stand out would be Natasha Atlas at St George’s, Black Voices at the Colston Hall Foyer and The Mountain in the Weston Studio at BOV. The latter was profoundly moving and extremely clever in its staging and tricks. I really love theatre so I’m definitely in the right city. After my term I’m going to be part of organising and performing in Fly Festival of Black Women’s Theatre which I’m really excited about. Sporting event you attended? It was probably Ladies’ day at Cheltenham Cricket Festival or a Bristol Flyers basketball match. I’m really getting into cricket both watching it and playing it. There’s a women’s and girls’ session on a Thursday at 5.30pm at City Academy. Holiday you went on? Chateau D’oex in Switzerland a couple of weeks ago for the international balloon festival that twins with Bristol. There was a lot of snow but I managed to overcome my fear of heights to take a balloon flight over the alps which was exhilarating and actually the most peace I have ever found in my life. I also had the privilege of meeting Muir Moffat a former Bristol fiesta chair and man responsible for commissioning the Scottish piper balloon, and also Brian Jones a Bristol man who was part of the duo who got the around the world balloon record 20 years ago. Restaurant you ate in? Sadly, I don’t eat out as much as I would like to and many of the dinners I have attended as Lord Mayor have been at hotels or at society venues. I’m pretty experimental with food and I’ve always wanted to eat at Bells Diner. I used to love Il Rustico in Hotwells. I expect I will soon make an effort to visit new restaurants Roger Moore’s in St George and The One Caribbean On Lodge Causeway. I’m also really looking forward to the food at the gala event which is set to be co-produced by the School of Food. Thing that annoyed you? Tagging and fly tipping generally and particularly at the Windrush mural in St Paul’s because I find it disrespectful. Thing that made you laugh out loud? It was at home with my son this week. I was playing with our cat when she was having a funny five minutes and she did a swipe punch at me. I got it on my phone and I’m pretty sure it would get through on You’ve Been Framed! Piece of good advice you were given? My dance tutor Paul Claydon at Bath Spa University would advise us on our choreographic projects: “If you have a big idea make it small, if you have a small idea make it big”. Not sure if I’ve completely carried that forward into all aspects of my life but I certainly appreciate the idea of keeping language and ideas easy to understand.